Dallas Keuchel was the best pitcher in the American League for 2015. He won the Cy Young by posting a league leading 20 Wins. 232 Innings and and worked to a 1.017 WHIP. The brilliant LHP is under team control for the next 3 years in Arbitration. The 28 Year old also finished 5th in MVP Voting, made the ALL – Star Game and reeled in his 2nd straight Gold Glove from the Pitcher Position. His 2.48 ERA was 2nd in the AL to David Price, and he led the Majors for Pitchers in WAR (7.2). Dallas Keuchel should be viewed as a top tier option in all fantasy leagues in 2016. He has proved over the past two seasons that he is a reliable option and is continuing to improve. The key for Keuchel to take the next step in fantasy leagues is to continue to see an increase in his strikeout rate. He increased this rate from 6.6 strikeouts per nine innings in 2014 to 8.4 per nine innings in 2015. If Keuchel can continue this trend and increase his strikeouts closer to 9 per nine innings in 2016, then his value will rise dramatically. As mentioned earlier, Keuchel has the supporting cast behind him to score runs, but he also has a great defense and a dominant bullpen behind him for support as well. All of these factors will come into play in 2016 and will help his cause to win back-to-back Cy Young Awards and lead the Houston Astros to a World Series title. To the uninformed, the game of major league baseball may look simplistic. You run; you throw; you hit; and at the end of a game, a winner is determined. However, as fans know, an enormous amount of work goes into each franchise and how they cultivate and maintain their organization from year to year. Some teams have greater track records than others, and there are few that can match what the St. Louis Cardinals have done over the years. Howard Megdal has thrown the curtain back and provided a glimpse behind the scenes at what makes the team click with his recent work, The Cardinals Way: How One Team Embraced Tradition and Moneyball at the Same Time (Thomas Dunne Books- an Imprint of St. Martin’s Press). Robinson Cano enters year 3 of a 10 season contract. So far his arrival has not corresponded into a playoff berth. The Mariners now hold the longest playoff drought in the Major Leagues. The Second Baseman will need to return to a MVP caliber style of play if the franchise wants to be players in the AL West. Cano was awesome in the second half of last year – and with his 3 HR game the other day, has been equally as impressive in Spring Training this March. He is one a few guys we zeroed in on. Next up is the American League West! Let’s take a look at each team and see their spring training stars! Paul Francis Sullivan (please call him Sully) does a podcast 365 days a year – unless it is a leap year – then he will do another 1. He has done a show everyday since Oct.24/2012. This to date represents a streak of 1254 days consecutively! Past the CLICK TO READ THE REST OF THIS ENTRY are episodes 555 – 585 of the Sully Baseball Daily Podcast. Check out all Sully’s Podcasts Archived info here. Past the CLICK TO READ THE REST OF THIS ENTRY are episodes 586 – 615 of the Sully Baseball Daily Podcast. Past the CLICK TO READ THE REST OF THIS ENTRY are episodes 616 – 646 of the Sully Baseball Daily Podcast. An artifact from one of the most memorable moments in New York Mets history is heading to the auction block. The jersey worn by Mets catcher Mike Piazza on September 21, 2001 will be sold by Goldin Auctions on April 30, 2016 during a live event in New York City. Goldin has a very conservative estimate of $25,000 attached to this piece of history, but the feeling is that it will very well break the record for the highest amount paid for a game-used jersey. In 2008, a jersey worn by Nolan Ryan in 1970 sold for the record price of $53,758. But the significance of Piazza’s jersey is expected to bring in at least double that amount when you consider how much famous home run jerseys have sold for in the past. No one has ever questioned Juan Nicasio‘s ability to pitch, but after posting a 5.03 ERA through four seasons in Colorado, the outlook was not bright. The Dodgers decided to take a chance on him in 2015 and it paid huge dividends. As a reliever in the Dodgers organization, he threw in 53 games, totaling 58.1 innings, 65 strikeouts, 32 walks, 3.86 ERA, and a 2.83 FIP. These numbers are impressive, but his low FIP suggests that his ERA should be even better than it was. The Pittsburgh Pirates took notice of Nicasio’s successful 2015 campaign and decided to sign him to a one year/$3 million contract for 2016. 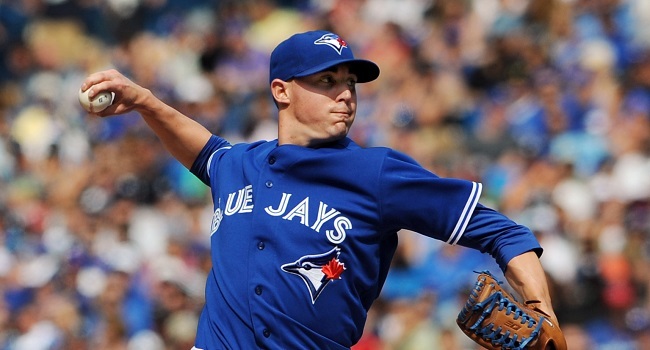 Aaron Sanchez Joins The Toronto Blue Jays Rotation, But Does This Hurt His Fantasy Baseball Stock? Aaron Sanchez doesn’t lack for ability or elite pitches. His fastball is just about as good as they come and he has an above average curveball. His arsenal was put on full display this spring training. He has thrown 20 innings this spring with a 1.35 ERA, 19 strikeout, and only three walks. Based on these numbers, it looks as if he has made many adjustments to put a lot of the concerns mentioned above to rest. As for now, he should be drawing some attention in mixed leagues and definitely worth a waiver wire pickup. If for some reason this experiment with Sanchez in the rotation doesn’t work out, he still has the upside to be an elite closer in the future. 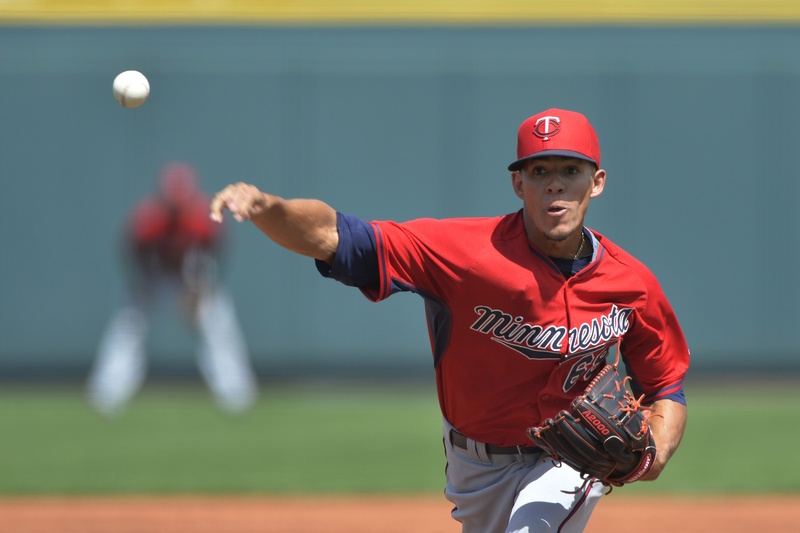 Jose Berrios has shown that he possesses potential ace-like pitch-ability in the minor leagues. In 2015, he threw 166.1 innings with a 2.87 ERA and 175 strikeouts. He proved that he is ready for the big leagues as he dominated Triple-A through 75.2 innings with a 2.62 ERA, 83 strikeouts, and only 14 walks. While everyone loves to see an impressive strikeout rate (9.9 per nine innings in Triple-A), his walk rate is what could make him elite. He only walked 1.7 batters in Triple-A last year, which is an elite rate for starting pitchers. Many baseball fans believe Berrios is more talented than most of the pitchers in the current rotation, but it looks as if the Twins will hold off on promoting him until later in 2016. The Twins will do this to limit his innings and get an extra year of team control in the future. UPDATE: Matt Harvey gave all of his fans and the club a big scare yesterday,and we now know it was a blood clot in his bladder. 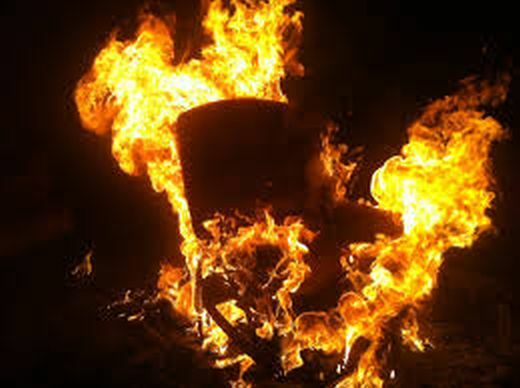 So far everyone is saying he will be fine to go on Sunday in Kansas City for the opener, however that may be pushing it. Harvey will throw a couple of innings at Spring Training today and see how he feels. Two years ago, New York Mets right-handed pitcher, Matt Harvey, was sidelined after tearing his UCL. This injury required Tommy John Surgery, which sidelined Harvey for over a year. After returning from Tommy John Surgery, Matt Harvey had a great 2015 season in which he threw 189.1 innings with a 13-8 record, 2.71 ERA, 188 strikeouts, and 37 walks. Through his short 2.5 year career, he has posted some incredibly good numbers that include a 2.53 ERA and 9.5 strikeouts per nine innings. So far this spring training, he has thrown 10 innings with a 6.30 ERA, seven strikeouts, and eight walks. His inflated ERA comes from his last start against the Houston Astros in which he gave up six runs, seven hits, and four walks over three innings of work. Recorded on the campus of The University of Idaho, I applaud commissioner Manfred for embracing social media. But does MLB still not get what they need to do with new technology? Past the CLICK TO READ THE REST OF THIS ENTRY are episodes 951 – 980 of the Sully Baseball Daily Podcast. Sure the Cubs are the consensus pick. But why is everyone discounting a team that nearly won 100 games last year? 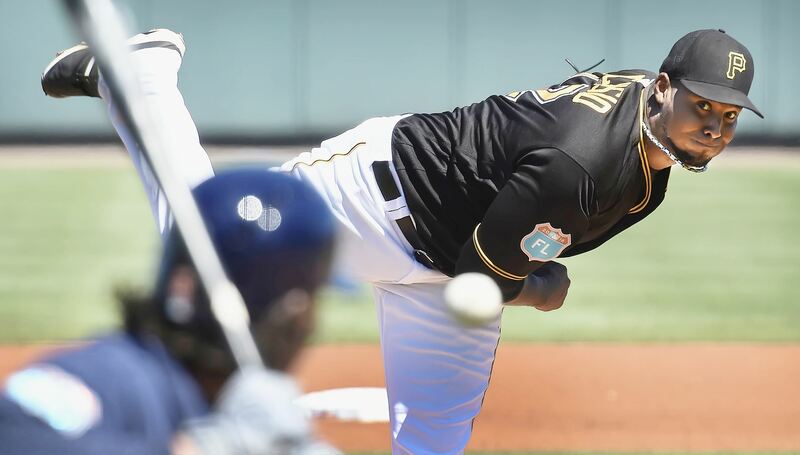 The Pirates could be making some in house moves that can only help Andrew McCutchen’s numbers. Paul Francis Sullivan (please call him Sully) does a podcast 365 days a year – unless it is a leap year – then he will do another 1. He has done a show everyday since Oct.24/2012. This to date represents a streak of 1252 days consecutively! 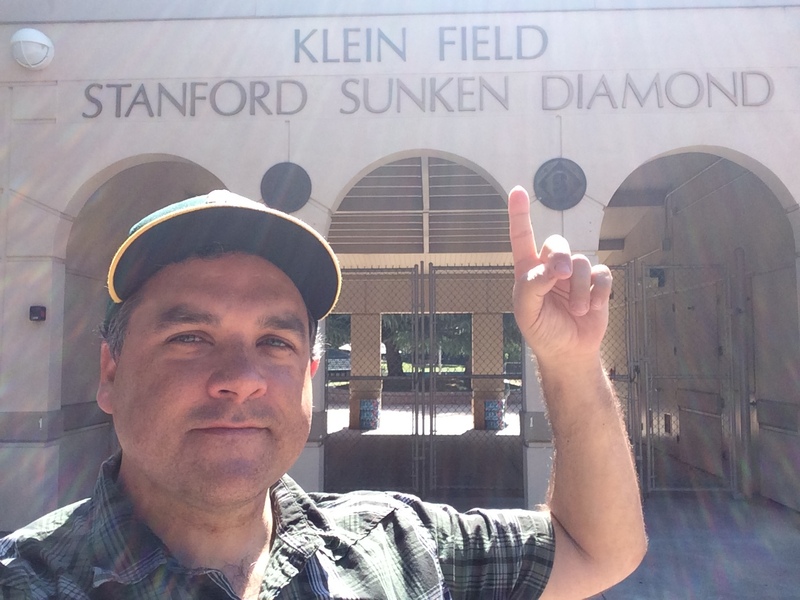 Past the CLICK TO READ THE REST OF THIS ENTRY are episodes 981 – 1011 of the Sully Baseball Daily Podcast. The Houston Astros finished second in the Majors with 230 HRs as a club in 2015, based on 11 guys with 10+ HRs – and 2 more players with 9. Houston will try to cut down on leading the American League with 1392 Strikeouts in 2015, that came from 7 different guys possessing over 100+ Strikeouts each. The squad also led the AL with SB in 121. As a sign of a complete team, Marwin Gonzalez was a perfect compliment to the starters, clubbing 12 HRs and adding 34 RBI among a .759 OPS in his 344 AB for 2015. Many fantasy owners overlook the value of Houston Astros utility man, Marwin Gonzalez. At only 27 years old, he should be entering his prime in the next few years and will make a big impact for many fantasy baseball owners. Gonzalez provides positional versatility that could take your fantasy baseball roster to the next level. In 2015, he played 15 games in left field, 15 games at second base, 21 games at third base, 32 games at shortstop, and 43 games at first base. Based off of normal fantasy baseball positional requirements (minimum of 10 games for positional eligibility), Marwin Gonzalez will be eligible at every infield position and the outfield (left field specifically). Haggling over contracts is nothing new in professional baseball. For years, players and management have gone back and forth over getting the perceived upper hand when it comes to determining worth. In the days before free agency and player representation, teams could more or less dictate the terms, which could lead to some pretty unhappy exchanges and counter proposals. Perhaps none were as bizarre as hard-drinking catcher Larry McLean, who tried to negotiate the payment of 25 cents for every drink he refused during the 1911 season with the Cincinnati Reds.